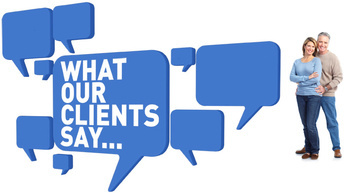 Client Testimonials - Natwick Insurance, Inc.
"I’ve been a customer of Natwick Insurance for years. Erik and his team find competitive options and very honest. He’s always been there whenever I needed. It’s nice to know Erik and highly recommend Natwick Insurance." "Big thanks to Kyle Morrell for quickly handling a discrepancy with my mortgage company. I just sent him the information and I didn't need to do anything else. Great customer service!" "We love this agency, the agents are honest and worked hard to find a policy that saved us money with the same amount of coverage." "Everyone needs a great insurance agent and Donnie Torok is just that guy! Donnie has been a very pleasant asset to my company. He listened to me, and found solutions to my issues... He saved me time and he has followed up on every request I have made. I know I can trust Donnie to look out for my best interest and recommend him for your business insurance. " "Natwick Insurance saved me hundreds of dollars on my commercial auto insurance." "As a small business owner, I have so many different things to worry about. It means so much to me that my insurance agent is not one of them. So glad I have the Natwick Insurance Team looking after my business insurance coverage.."
"Money in our household is pretty tight right now. Our agent at Natwick Insurance did a wonderful job of helping us find the best coverage to meet our needs and budget. So glad we found Natwick Insurance as their agents are helpful and truly care about us."